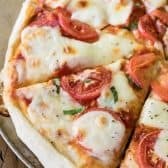 Margherita Pizza is a classic pizza recipe that is both beautiful and extremely simple to make! 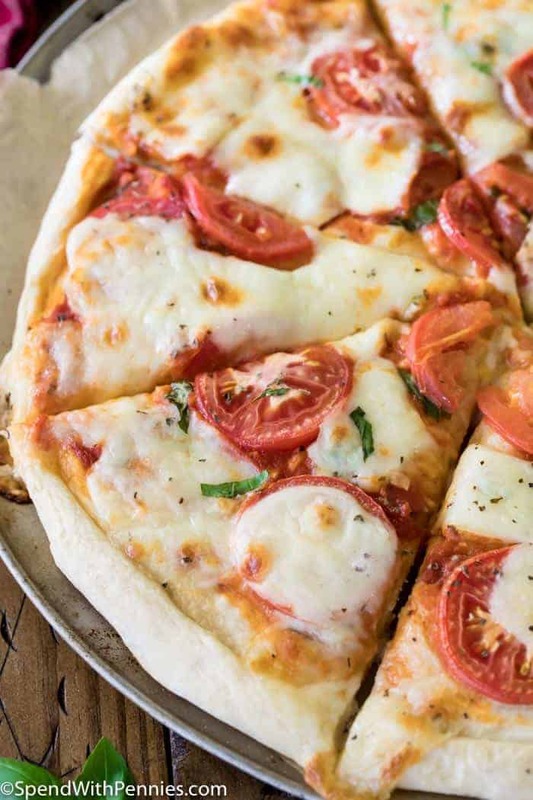 Perfect for making with fresh produce straight out of your garden, this easy Margherita Pizza recipe is great to have on hand in the summertime (though it tastes wonderful all year ’round!) and is always well-received! 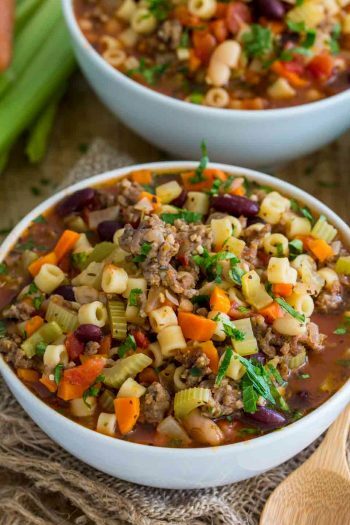 Add in a side salad for the perfect meal! Sure, plain old cheese pizza is great, but sometimes isn’t it nice to turn things up a notch and explore new flavor options? A classic, simple, Margherita Pizza recipe is a great way to do just that (for a more carnivorous option, check out this cheeseburger pizza option instead ) . Pizza Margherita is made on a simple homemade pizza crust, generously brushed with olive oil, and prepared with just a handful of robustly-flavored fresh ingredients. 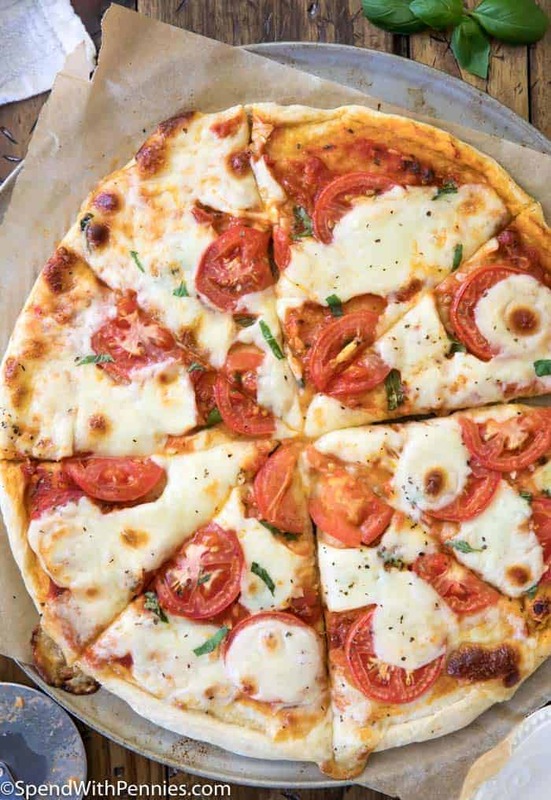 You can’t go wrong with a classic like Margherita Pizza. What Toppings go on a Margherita Pizza? These are the key components that make for an authentic Margherita pizza. 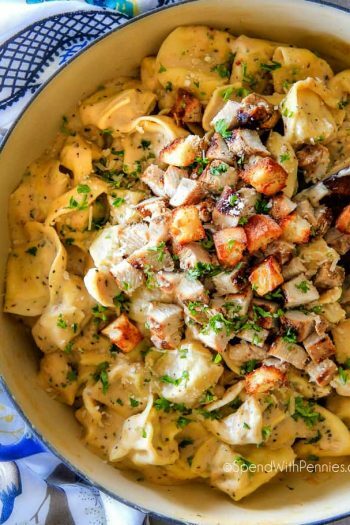 Variations can be made to individual recipes (using shredded cheese instead of brick, etc. ), but these three ingredients are critical. 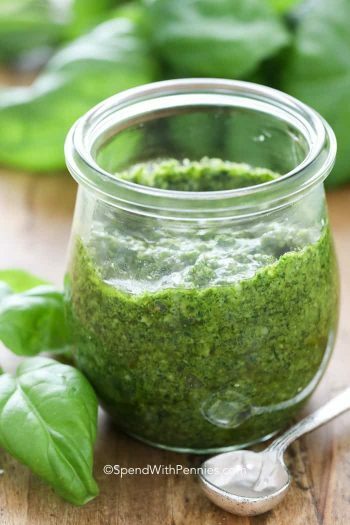 Basil and tomatoes are also great for growing in your garden, so if you’re thinking of planting one this year make sure to include these two staples for your very own Margherita pizza garden (I grow my garden specifically for making fresh Margherita pizza and summer salads like my Macaroni salad!). How do you Make a Margherita Pizza? Pizza Margherita should always start with a good classic pizza crust. For today’s recipe, I chose to use my favorite homemade pizza dough recipe, a simple recipe that doesn’t require any fancy ingredients and can be ready after just 5 minutes of prep and 30 minutes of rising. Of course, you can use a pre-made dough if you prefer or if you’re in a time-crunch, but with how simple my homemade recipe is I really hope you’ll give it a try! Once the dough is made, you’ll drizzle it generously with olive oil, add some marinara and well-minced garlic, a few slices of Roma/plum tomatoes, shreds of basil and plenty of mozzarella cheese. 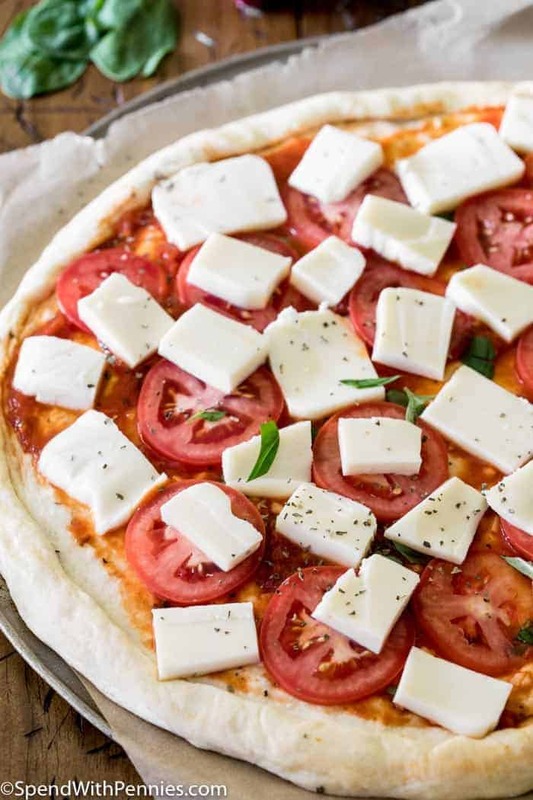 While you can use shredded mozzarella cheese for this recipe, for a classic Margherita recipe I really recommend using a block of mozzarella cheese and slicing that into rounds or wedges or squares and dotting the pieces generously over the pizza (see photo above). Is Marghertia Pizza Italian? You bet! Margherita Pizza actually has an interesting namesake, and was so named in honor of the Italian Queen consort, Margherita. Queen Margherita loved pizza (most of us can relate) and a famous pizza maker is said to have created this specific flavor in her honor. It also pays homage to the Italian flag, flaunting its colors proudly in the green basil, white mozzarella, and red tomato. Some people ask why do they call it a margarita pizza or what is margarita pizza, but it IS Margherita Pizza! Margherita Pizza is great served on its own, but it also is wonderful when served with a side salad, anything from a Caesar salad to macaroni salad will work! Prepare your dough first by combining 1 cup of flour, instant yeast, sugar, and salt in a large bowl. Add oil and water and use a wooden spoon to stir to combine. Add warm water and stir very well until mixture is smooth. Gradually add remaining flour until completely combined and dough is sticky and cohesive and pulling away from the sides of the bowl as you mix. Brush a large bowl with olive oil and place your dough in the bowl. Cover bowl tightly with plastic wrap and place in a warm place and allow it to rise for 30 minutes or until doubled in size. Once dough is finished rising, preheat your oven to 425F and line a pizza pan with parchment paper and set aside. Gently deflate the dough with your hands and transfer to a clean, lightly floured surface. Dust dough with additional flour and use a rolling pin to roll out to 12" wide circle. Transfer to prepared pizza pan and roll over the edges to form a crust. Brush the whole surface of the crust with olive oil and then add your Margherita Pizza Toppings. Stir minced garlic into your pizza sauce and then evenly spread sauce over the center of the pizza. Top with about half of your basil leaves and then evenly distribute plum tomato slices over the top. Scatter mozzarella cheese evenly over the tomatoes (see second picture in post) and then top with remaining basil ribbons. Transfer to 425F oven and bake for 15 minutes or until cheese is melted and just beginning to turn golden brown. 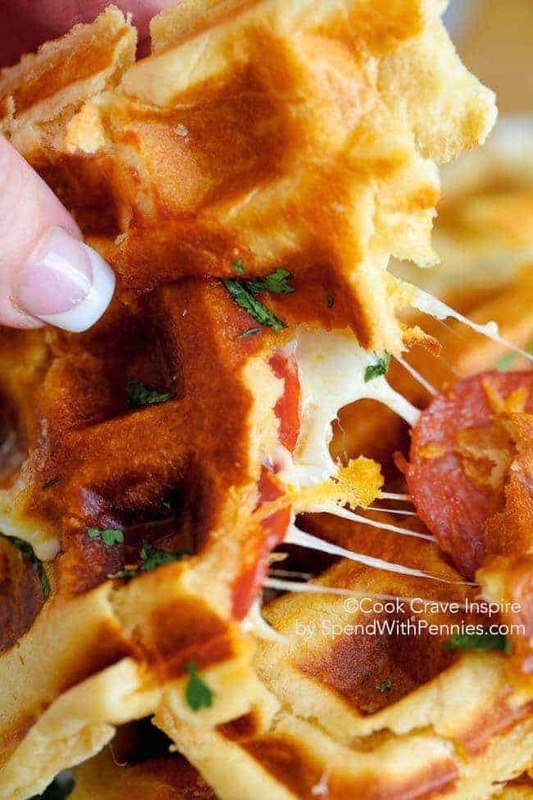 Repin this Perfect Pizza Recipe!